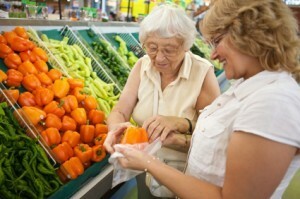 Caregiver assists an elderly client with grocery shopping. Because We Care provides caregivers who can assist and support your senior loved ones for many non-medical, personal, and social needs. 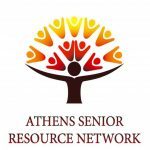 Area Agency on Aging, Housing Options in the Area, Medical Equipment, Hospice Care, Home Health Care, Home Maintenance, Rehab Facilities and Adult Day care. Call us for any questions or concern about the continuum of care for your loved one. 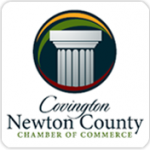 We serve the following counties: Barrow, Butts, Clarke, Clayton, DeKalb, Greene, Gwinnett, Henry, Jasper, Morgan, Newton, Oconee, Putnam, Rockdale and Walton. 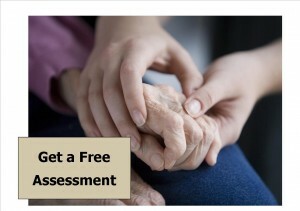 Request an Assessment Interview or Contact Us for more information about our services.